Download PCX is an image file format developed by the now-defunct ZSoft Corporation of Marietta, Georgia. It was the native file format for PC Paintbrush (PCX stands for "Personal Computer eXchange") and became one of the first widely accepted DOS imaging standards, although it has since been succeeded by more sophisticated image formats, such as GIF, JPEG and PNG. But still you can have pictures in this format. And you may want to convert PCX to jpeg or another popular modern format, using special software - PCX converter. Not every image converter can carry out this operation and satisfy the requirements, so you should choose carefully. 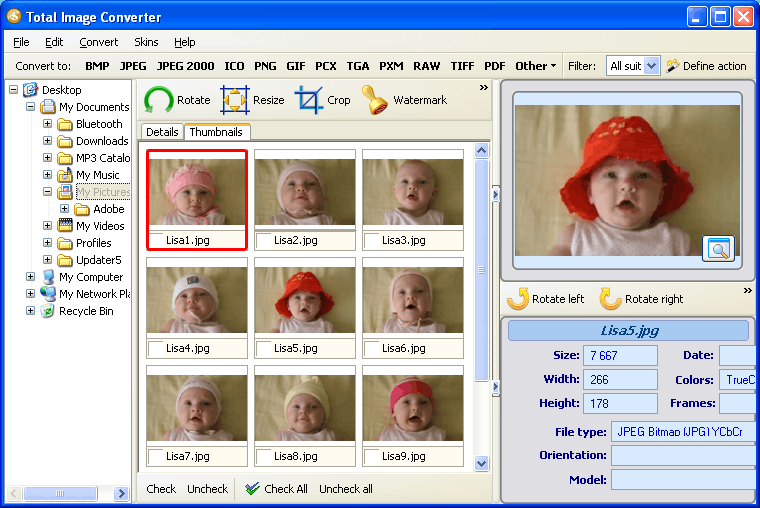 For example you can use maybe the most popular PCX converter - Total Image Converter. This program becomes so popular because of few factors. 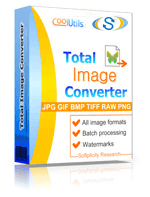 Total Image Converter supports almost all image formats. And you can convert all PCX files at one time. Just check the files that you want to process or just press Select All button to save your time. Get any amount of image files converted or resized in one click! 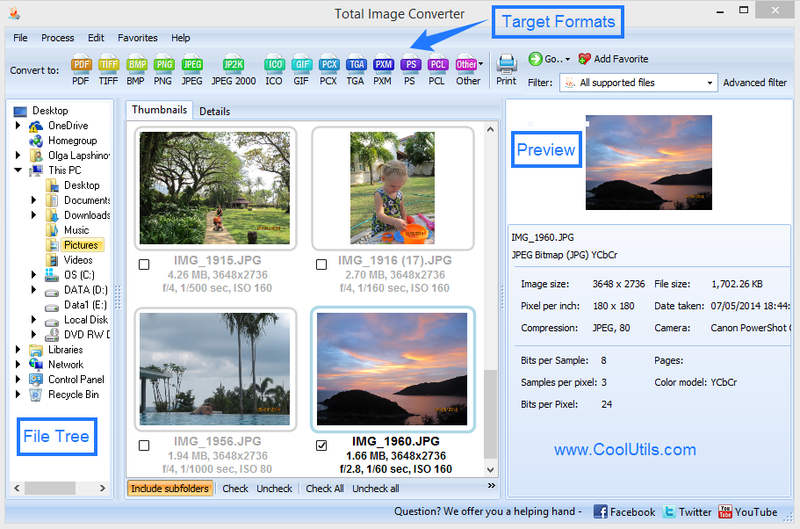 Total Image Converter has user-friendly, intuitive interface to help you deal with PCX images. 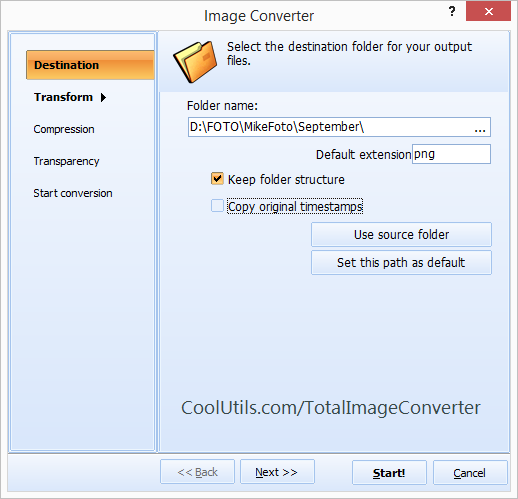 Total Image Converter provides 30 days test period before you buy this programs. And it is really simple - even if you never dealt with image converters before you will master the program in seconds. To convert your old format PCX pictures you just need download this software. Then install it; it is easy just another casual installation process. After these two procedures check pcx images which you want to convert and follow the wizard instructions. That is all! The simplest way to convert your old-format PCX images to modern widely used formats – is to use this PCX converter.